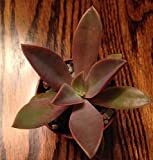 Graptoveria growing succulent of the genus Graptoveria also known as Hens and Chicks, Graptoveria perennial evergreen used as ornamental drought tolerant plant, can grow in mediterranean, desert, subtropics climate or as climate and growing in hardiness zone 10-12. 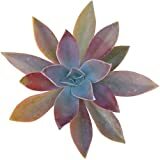 Leaves color can be: green, blue, purple, red, pink or orange, the shape wedge shape, pointed top can be sharp. Flower color can be: pink, purple, peach white, yellow, orange or more than one color with five petals flowers grow in inflorescence grows on stems.